All posts in "Other musings"
If you’re interested in having Tim speak at your church, group or event, then the information below should help answer your questions on how to make that happen. The 8th edition of Know the Future, timeless information up to date for 2017! This page will tell you what’s new and different than previous versions you may have. Michael Boldea had a dream in December 2005 of a great shaking coming to America that is so powerful it collapses the Golden Gate Bridge. 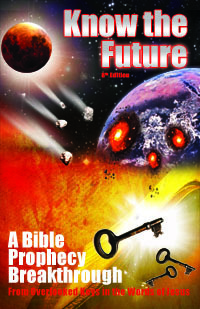 Does it fit with Bible prophecy? Michael Boldea’s Dream: America’s Next 9-11? Before America falls in a “one day and one hour,” there may be a major event coming first on the West Coast.